Chadstone Toyota is proud to have been a member of the local community for over 25 years and supporting grass roots sporting clubs has been an integral part of this. We believe that supporting the local community is important as we are able to give something in return to the community in which we operate and who have so kindly supported us over the years. 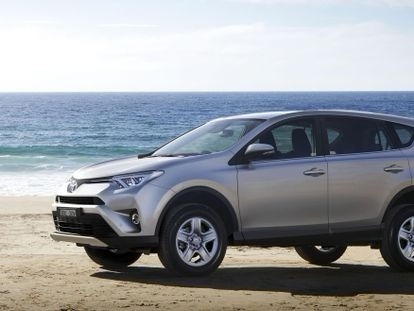 In addition to the sponsorship, we offer a loyalty bonus that is paid to each club for every member who buys a car through us, at Chadstone Toyota. Oakleigh District Football Club has been part of the local community for 64 years. They are a small local football club with 3 senior football teams and 1 female netball side. They engage the local community especially through underage football. “My name is Greg Kiellerup and I have been President of the Oakleigh District Football/Cricket club for the past four years. Our club is affiliated with the Southern Football League. After winning the Division 2 Premiership last year we will now be competing in Division 1 in 2016. Last year we celebrated our 60th Anniversary, and made the finals after a scintillating 10-game winning streak in the back half of the year. This year we welcome back four key senior players to the side after a season of VFL duties, and we will also be fielding 8 teams – over 200 players will represent the Blue & Gold. Chadstone Toyota have been very committed to The Murrumbeena Football Netball Club and combined have journeyed together, with support for each other, over the last 10 years. The club has evolved over time, not only fielding a Seniors and Reserves team, but also our own netball team, under the Southern Football Netball League. The future sees the club now steering towards fielding a Women’s Football team and pushing for an Under 19’s team in 2017. With annual events like Past Players “Has Beenas’ Day and Ladies Day, Chadstone Toyota’s presence has been there with us all the way. The Club has started working behind the scenes in preparation of our 100 year Celebration in 2018 and look forward to seeing many HasBeena’s sharing in our exciting event. The Club as a Sporting Community is focused on creating a friendly, family environment for our young sports men and women and we know Chadstone Toyota will be right behind us and that to the club is …. Oh what a feeling! The Caulfield Bears Football & Netball Club is a local community sporting club based at Koornang Park in Carnegie. This season, we will field 2 senior football teams, 6 netball teams, 300 junior players (ranging from U8-U17) and 100 children aged between 5-10yo in our Auskick program. currently fundraising for Beyond Blue. Celebrating its 20th year, National Tree Day is an initiative of the highly respected not-for-profit environmental foundation, Planet Ark. It was originally created to bring the Australian community’s attention to the importance of planting native trees to protect and enhance our natural environment. Toyota has been a proud sponsor since 2000 and since that time National Tree Day has grown into the largest community based tree planting and nature care activity in Australia. Over 22.3 million trees have been planted by more than 3.8million people since 1996. Chadstone Toyota are proud to support both Clayton North Primary School and Ashwood Children’s Centre during National Tree Day.